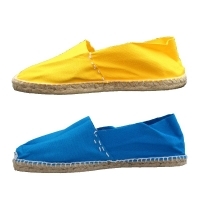 The classic espadrilles - handmade. Produced in Spain following a long tradition. A robust sole made of jute. High-quality cotton.